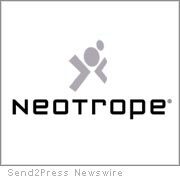 TORRANCE, Calif. — Neotrope®, a brand identity, PR, and marketing firm established Jan. of 1983, has extended the 2009 grant application deadline for non-profit organizations, from Nov. 12th, to Dec. 7th, 2008, due to the recent U.S. elections. The company is donating $25,000 in free public relations and newswire services to worthy smaller non-profit and charitable organizations to celebrate its 25th anniversary. Neotrope previously donated $25K worth of services in 2000, and $22K in 2005; and has provided discounted or free services to various non-profits for more than 20 years. Non-profit organizations may apply for the grant through December 7th, 2008 (extended from Nov. 12th). Organizations will be selected based on various factors related to “doing good,” and the amount donated to each selected non-profit will vary. Half of the grants will be provided to California-based non-profits, who will receive additional promotional assistance through California Newswire® as well as a free eMediaKit™ (www.eMediaKit.net). Additionally, all 501(c)(3) organizations automatically qualify for a 20% service discount. Send2Press® offers best-in-class affordable Direct-to-Editors™ news distribution and alternative placement of news content to improve its “persistence” versus the traditional one-shot approach. In addition to sending news directly to working journalists, print and broadcast media, Send2Press places news into social networks and deep into search engines using proprietary ContextEngine® press release optimization technology developed in 1997.